Just a 20-minute walk from Buckingham Palace in central London, these apartments are near Pimlico Underground Station on the Victoria Line. Each offer.. Situated in the heart of Victoria, Victoria Apartments offer bright, contemporary accommodation. 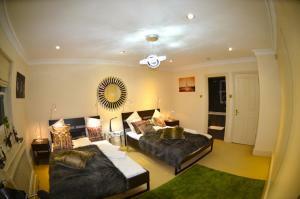 They are cleaned on a regular basis and feature free ..
Classica Apartments offers accommodation in London. Buckingham Palace is 1 km away. Free WiFi is offered throughout the property. All units include a.. 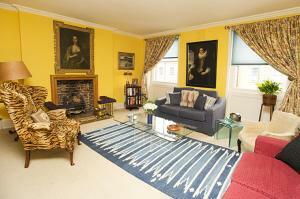 Apartment Ebury Street - Belgravia Chelsea is an apartment situated in London, 1 km from Buckingham Palace. The apartment is 1.2 km from Harrods. Free.. 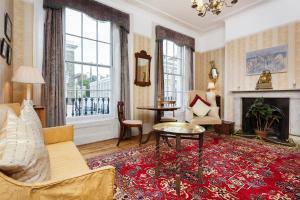 The Beverley Hotel London - Victoria offers accommodation in London. All rooms include a TV. All rooms are equipped with a private bathroom. 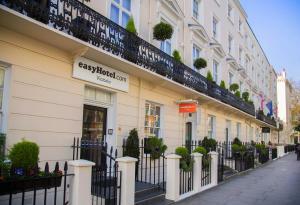 The Beve..
Set in the Westminster Borough district in London, 1.2 miles from Buckingham Palace, easyHotel Victoria features air-conditioned rooms with free WiFi .. 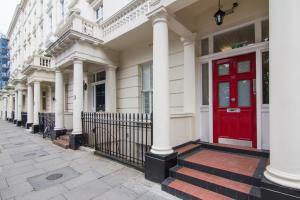 Situated in London, Metro Apartments Pimlico is 1.1 km from Buckingham Palace. Westminster Abbey is 1.1 km away. Free WiFi is available throughout the.. 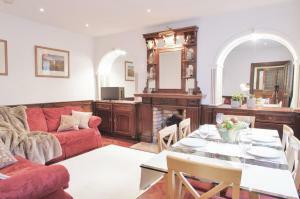 Situated in London, this apartment is 900 metres from Westminster Abbey. Guests benefit from free WiFi and private parking available on site. 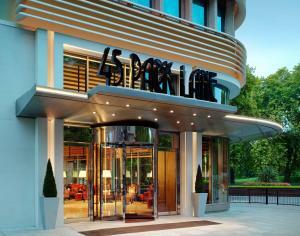 There i..
Overlooking Hyde Park, 45 Park Lane features an on-site fitness studio, a modern American steak restaurant, and a team of massage therapists. A striki.. Within a 10-minute walk of Victoria Station and Westminster Cathedral, the Victoria Home from Home apartment lies in the heart of London’s upmarket ..
One Bedroom Apartment Denbigh Street - Westminster offers accommodation in London. The unit is 1.1 km from Buckingham Palace. Free WiFi is offered thr.. Featuring free WiFi throughout the property, Four Bed House Warwick Way Pimlico is a holiday home located in London, 1.1 km from Buckingham Palace. Th.. 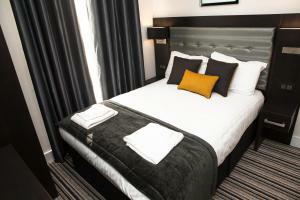 Featuring free WiFi throughout the property, The Tudor Inn Hotel offers accommodation in London. Each room at this hotel is air conditioned and is eq.. Ideally located just 10 minutes’ walk from Victoria Station, Pimlico Apartment offers modern self-catering accommodation for up to 6 guests with fre.. Located in central London's iconic Westminster district, 18 Regency Street offers self-catering accommodation with free WiFi access. The property is j..
Belgravia Rooms offers a range of serviced apartments within 5-10 minutes’ walk of London Victoria Train Station. With Chelsea and Westminster 15-30.. 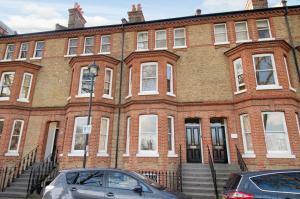 Located in London, Churton Street Apartment offers self-catering accommodation with free WiFi. The unit is 1.2 km from Buckingham Palace. There is a .. 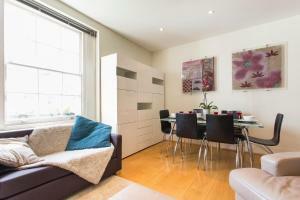 Apartment London Central SW1V offers accommodation in London. Buckingham Palace is 1.2 km away. Free WiFi is provided throughout the property. 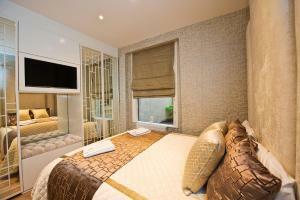 All un..
Mayfair Apartments offers accommodation in London. Oxford Street is 700 metres from the property. Free WiFi is available . All units include a seatin.. 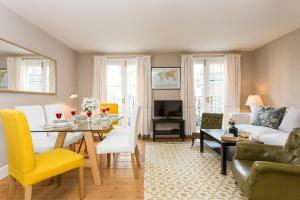 Located 700 metres from Harrods in London, this apartment features a patio. The unit is 1.1 km from Buckingham Palace. Free WiFi is provided . The ki..